Hassenzahl, M., Platz, A., Burmester, M., & Lehner, K. (2000, April). 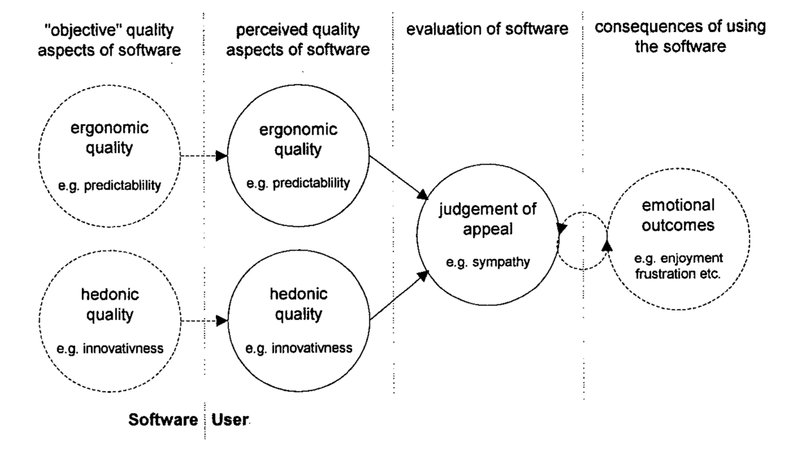 Hedonic and ergonomic quality aspects determine a software's appeal. In Proceedings of the SIGCHI conference on Human factors in computing systems (pp. 201-208). ACM. Hassenzahl, M., Diefenbach, S., & Göritz, A. (2010). Needs, affect, and interactive products–Facets of user experience. Interacting with Computers,22(5), 353-362.